Sundays at the Art Museum are full of free family fun. Visit our Crayola Classroom to make your own masterpiece inspired by our collection. Then go on a Treasure Hunt through the galleries together—and stop by the Museum Store afterward to collect your prize. In Art Ways Interactive Family Gallery, explore our Curiosity Wall, express yourself on the chalk wall, and make an art project to take home. 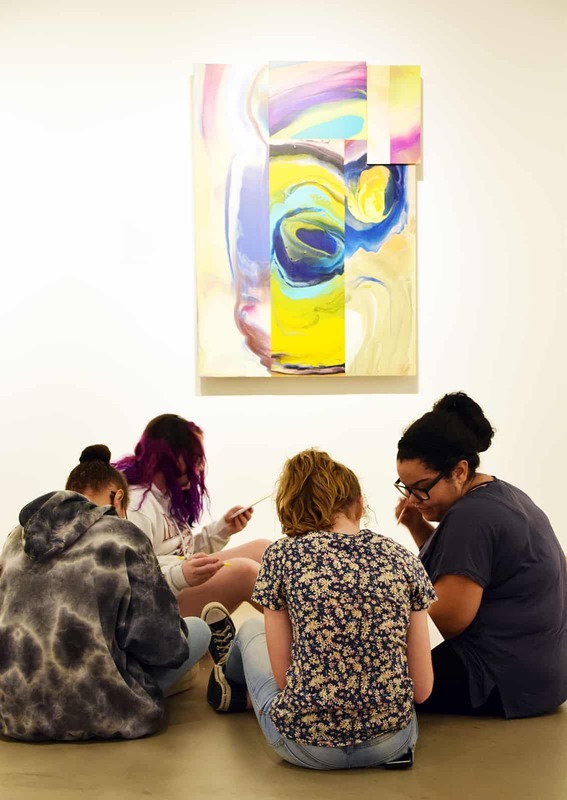 Admission to the Museum and all exhibitions and programs is free every Sunday thanks to generous support from the Society of the Arts (SOTA), City Center Allentown, the Gadomski Foundation, and the Sylvia Perkin Perpetual Charitable Trust. Kids and families can create original works of art together under the direction of a Museum educator in our Crayola Classroom, free. This month compare and contrast the photography in Carrie Mae Weems: Startegies of Engagement with works by early modernist photographers. Has the production of art from the African Diaspora moved beyond “Black Art?” What works are most collected by institutions and private collectors? Who determines the intellectual or aesthetic value of a work of art? Join the Allentown Art Museum for a spirited discussion with panelists Halima Taha, Ph.D.; Eric Edwards, collector of African art and artifacts; and Danny Simmons, collector, curator, artist, and activist. No reservation is needed to join this free tour of our special winter exhibition—just drop in! No se necesita reservación para unirse a este recorrido gratuito de nuestra exhibición especial de invierno, ¡solo venga!